Wherever you play, at some point you’ll be reaching for the shades, and golfers require certain attributes from their sunglasses. The casual pair you wear for everyday use will do the job, but it likely won’t do it well. Enter Sundog Eyewear, a brand making sunglasses for a variety of sports – one of which is golf. Understated, and sporty. Not that many styles suit my head, but these did the trick. They are clearly a pair of sunglasses for the sporting arena, so I would not be wearing these off the course, but some may feel they are acceptable. The first thing that struck me regarding the Stack Trueblue Lens is weight – it’s particularly light. 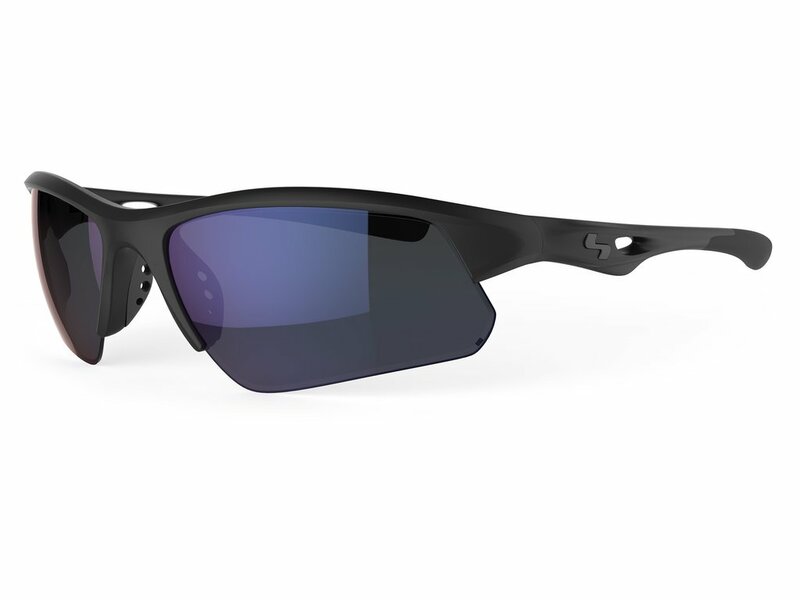 When you’re out on the course all day in the heat, you don’t want a heavy pair of sunglasses that weigh on your pressure points. These are so light, you’d hardly know you were wearing them at all. In the sun, many players work up a sweat, and it can be a source of continual frustration, an emotion not conducive to low scores, when sunglasses slip down one’s nose every time you swing. These shades have a non-slip nose pad to ensure they stay in place, no matter your perspiration level. The shade that came with my glasses was quite dark, which was superb for bright sunny days out on the course. Visual clarity was high, allowing me to see subtle contours in greens. At the tips of the frame's arms, the material is softer than the main body, which stops that irritating pressure that builds up behind the ears with some sunglasses. A superb entry level pair of sunglasses. Light and offering superb clarity, the Sundog Trueblue Stack has the main attributes required by golfers. Head to the Sundog website for more information.